UPDATE: Smyths Toys press office confirm Paw Patrol will only be at the store on Saturday 16th February along with PJ Masks. Ben 10 will be there on the Friday along with Lippy Lips and Oscar will be there the whole weekend. 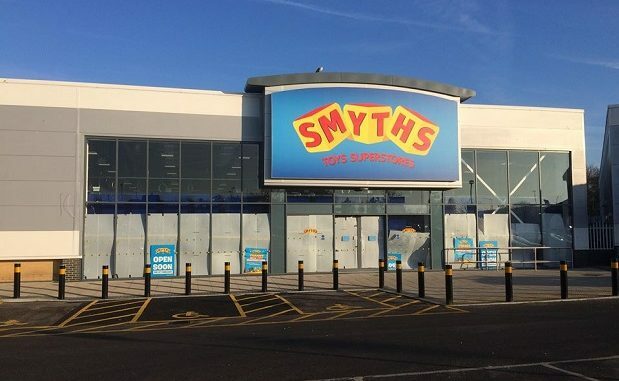 Smyths Toys superstore will celebrate its move to Westwood Retail Park with a special opening event on February 15 – and has teamed up with The Isle of Thanet News to offer one lucky person a £50 store voucher. 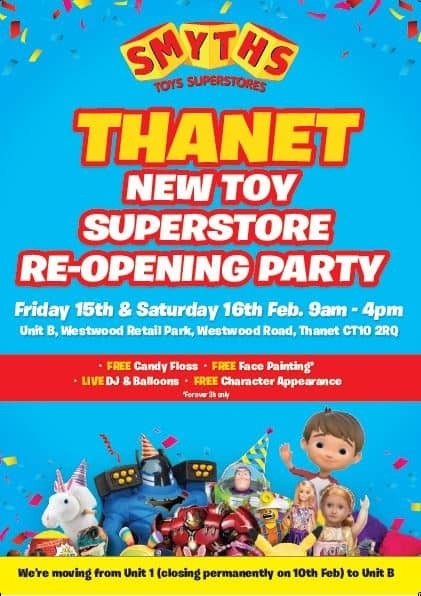 The doors of the new store will open at 9am on Friday with a number of special guests over Friday and Saturday, including Chase & Marshall from Paw Patrol, PJ Masks and many more dropping by at various intervals between 9am and 4pm. There will also be free face-painting, candy floss and plenty of goodies to giveaway! And there will be even more fun on Saturday, February 16 with a visit from a giant T-Rex! 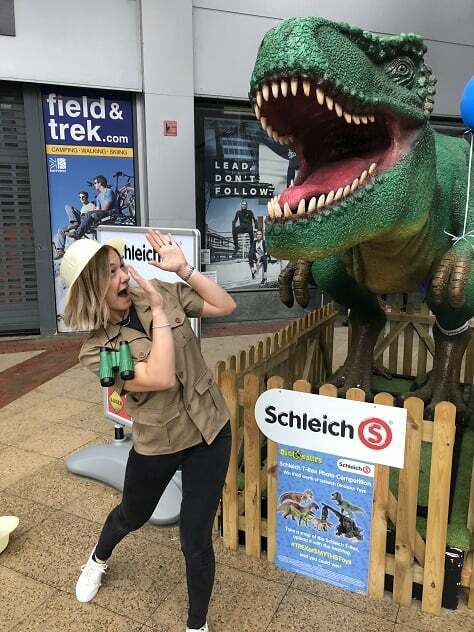 The team at Schleich will be displaying the model at the store from 9am till 4pm.At 4.5 metres in length he is a sight to be seen and will create the perfect photo opportunity for fans of all things Jurassic. There will also be a celebration of the launch of The LEGO® Movie 2, with a free LEGO Make & Take event from 9am. The current store at The Link retail park closes on February 10 ready for the move and reopening on the new site, next door to Matalan,. To help celebrate Smyths will give one lucky reader of The Isle of Thanet News a £50 store voucher. To enter simply email isleofthanetnews@gmail.com with your name and contact details by midday on Tuesday, February 12. The winner will be picked at random and will have their Smyths voucher posted to them. The winner will be drawn at random under the supervision of an independent witness. The editor’s decision is final. The winner will be notified within one day of the draw closing date. The winner will receive their voucher through the mail via Smyths Toys. Prizes are subject to the prize provider’s terms and conditions. All uses of your personal data will be in accordance with the website’s compliance with GDPR regulations.